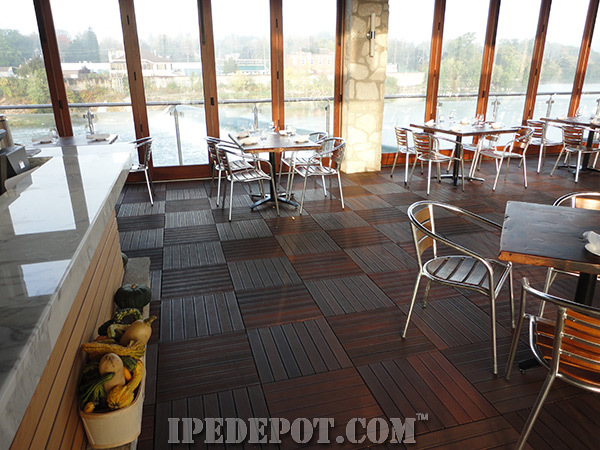 Ipe Deck Tiles Can Easily Transform Your Patio! 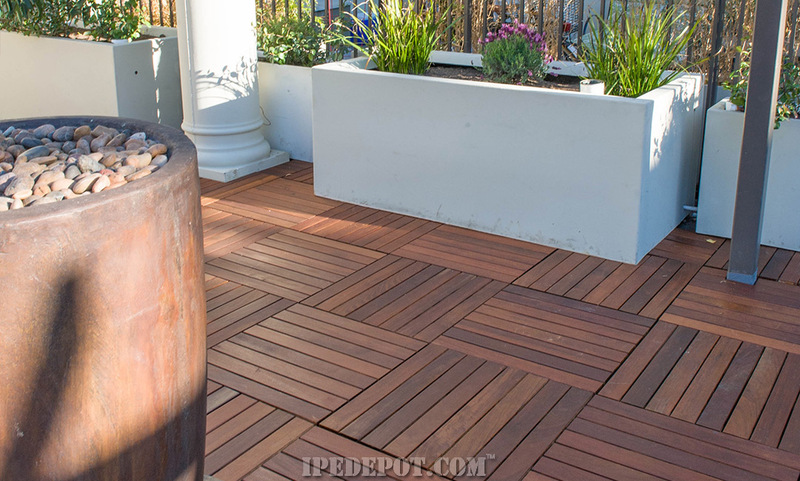 A patio can easily be transformed from boring and cracked concrete to a beautiful outdoor living area with Ipe Deck Tiles. 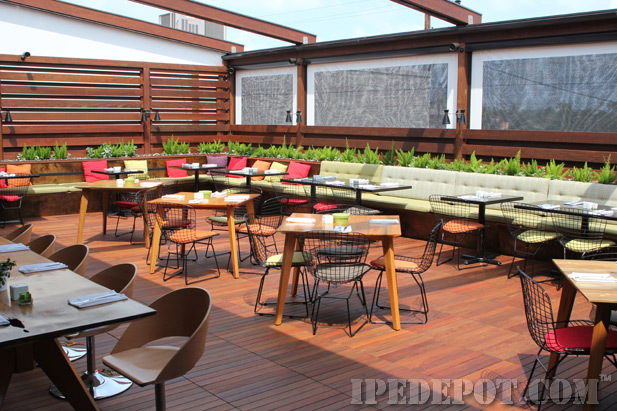 Our Ipe Deck Tiles are the perfect solution for any outdoor living area because of their versatility and durability. Anti-Slip Deck Surface Our Deck Tiles feature an anti-slip deck surface which is very popular profile throughout Europe for both its look and functionality. The grooves on the deck surface help maintain solid footing even when the deck is wet from rain or pool water. The anti-slip grooves also provide a sophisticated look that will be sure to separate your outdoor living area from the pack! ORDER NOW!!! 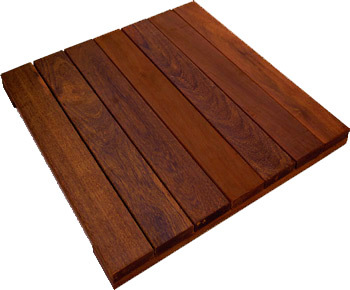 We have Decking Tiles IN-STOCK and ready to ship to your home or job site!!! Simple & Easy!!! Use the deck tile calculator below to reveal the truth behind the pricing of deck tiles. Our deck tiles are by far the best value when you shop around and compare prices. 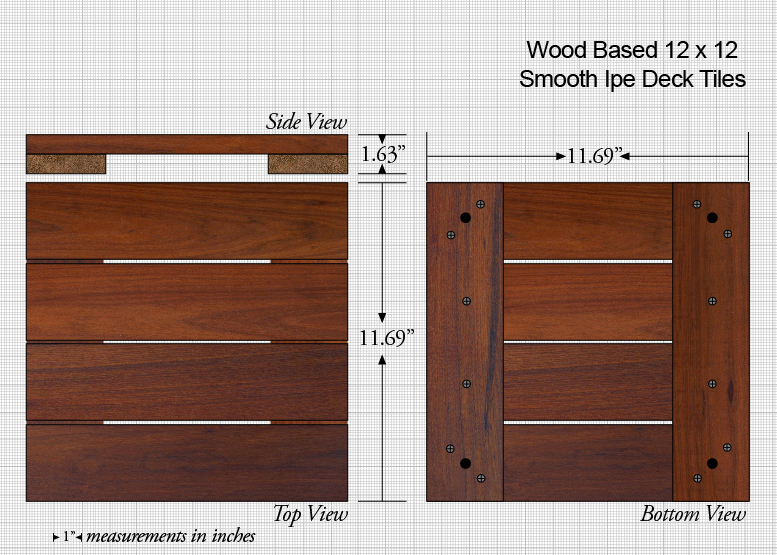 1.18" x 11.69" x 11.69"
Diagram of our Ipe Decking Tiles from the side, top & bottom. 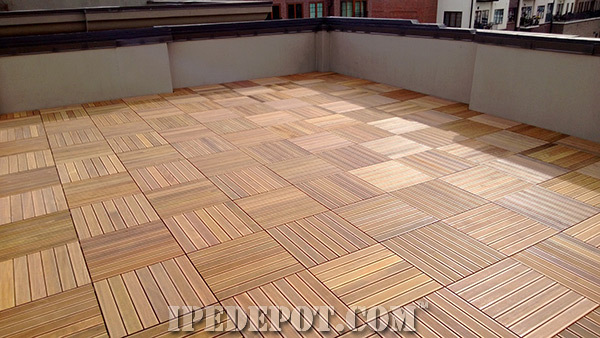 Our Deck Tiles are wood backed with wood which are secured with stainless steel screws. 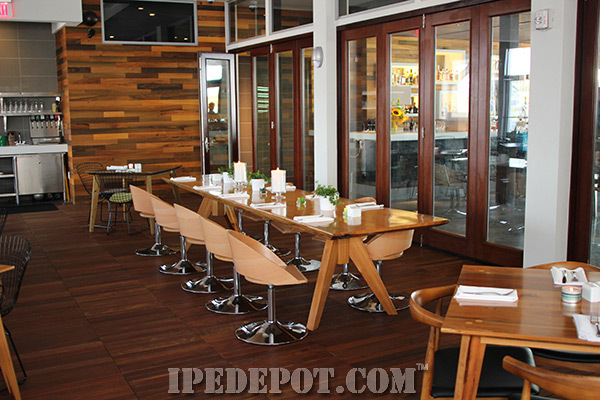 They are very versatile Decking Tiles that constructed using ALL clear Ipe wood for added durability. 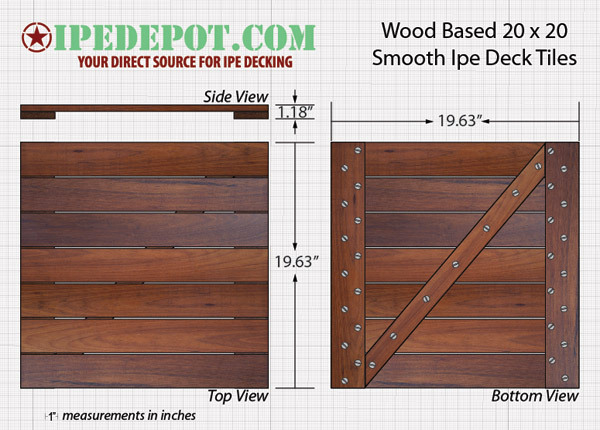 1.18" x 19.63" x 19.63"
1-11/16" x 23 7/8" x 23 7/8"
Diagram of our Ipe Decking Tiles from the side, top & bottom. 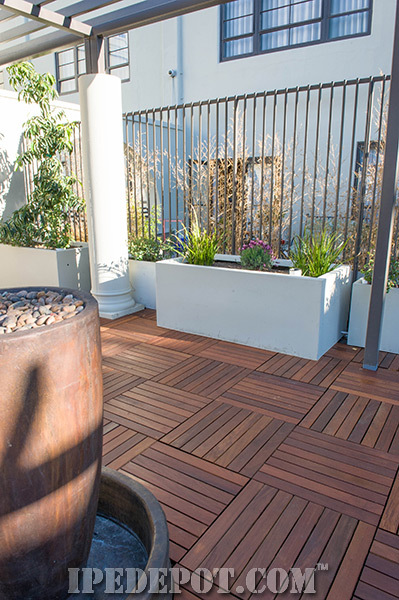 Our Deck Tiles are wood backed with wood which are secured with stainless steel screws. 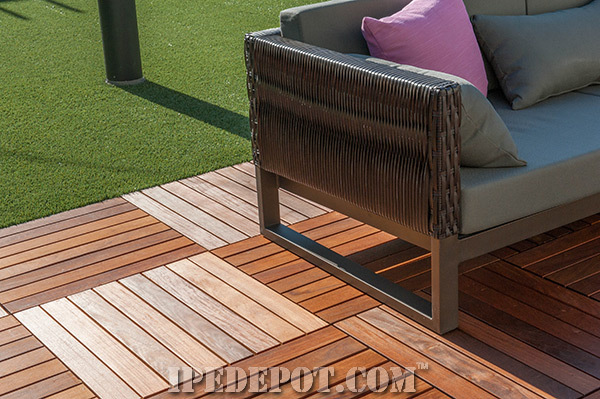 They are very versatile Decking Tiles that constructed using ALL clear Ipe wood for added durability. 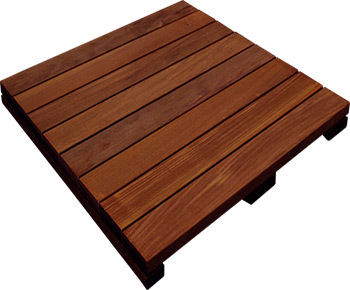 These 24x24 tiles are also grooved for use with pedestal deck support systems. 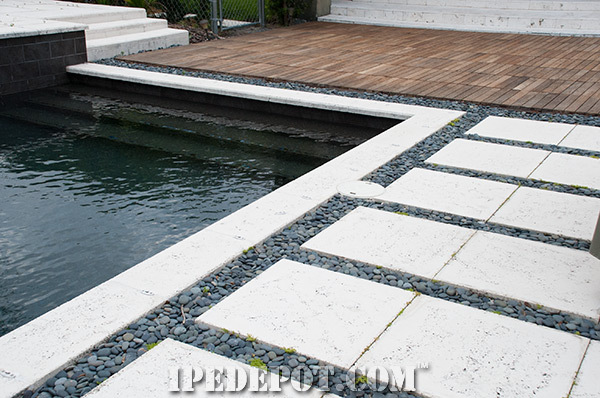 We Ship Ipe Deck Tiles Worldwide!!! 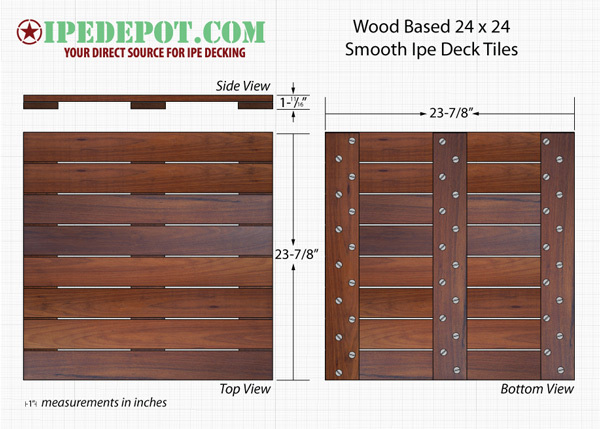 1-11/16" x 23 7/8" x 47 7/8"
Diagram of our Ipe Decking Tiles from the side, top & bottom. 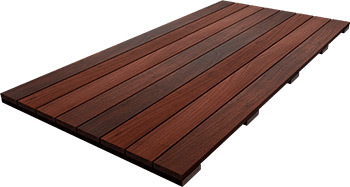 Our Deck Tiles are wood backed with wood which are secured with stainless steel screws. 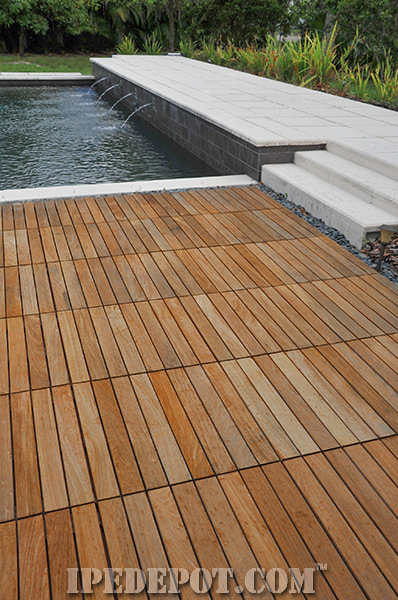 They are very versatile Decking Tiles that constructed using ALL clear Ipe wood for added durability. These 24x48 tiles are also grooved for use with pedestal deck support systems. These connectors simplify the deck tile installation process plus you never have to worry about loose or uneven gaps between tiles. The unique design of these deck tile connectors provide the easiest installation method for wood-backed hardwood decking tiles. 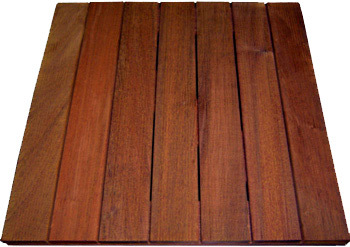 Buy Deck Tiles by the Bulk & SAVE!!! 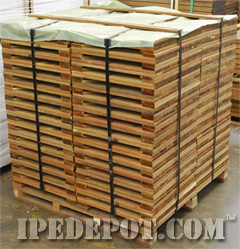 When you buy deck tiles by the pallet you save $$$! Contact our sales department today to buy bulk deck tiles.